I’d rather not eat anything out of a can when I have an option. 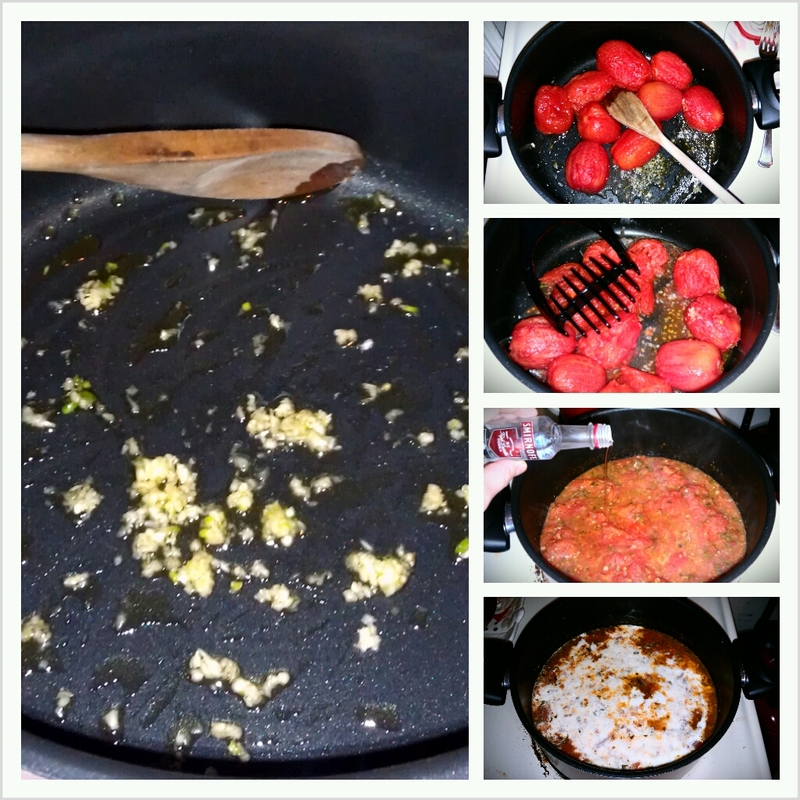 The recipe I have calls for a 28 oz can of whole peeled tomatoes, I blanched 1 3/4 lb of Roma tomatoes instead. To blanche them you would just boil water, and toss in the tomatoes for a few minutes or until the skin cracks. 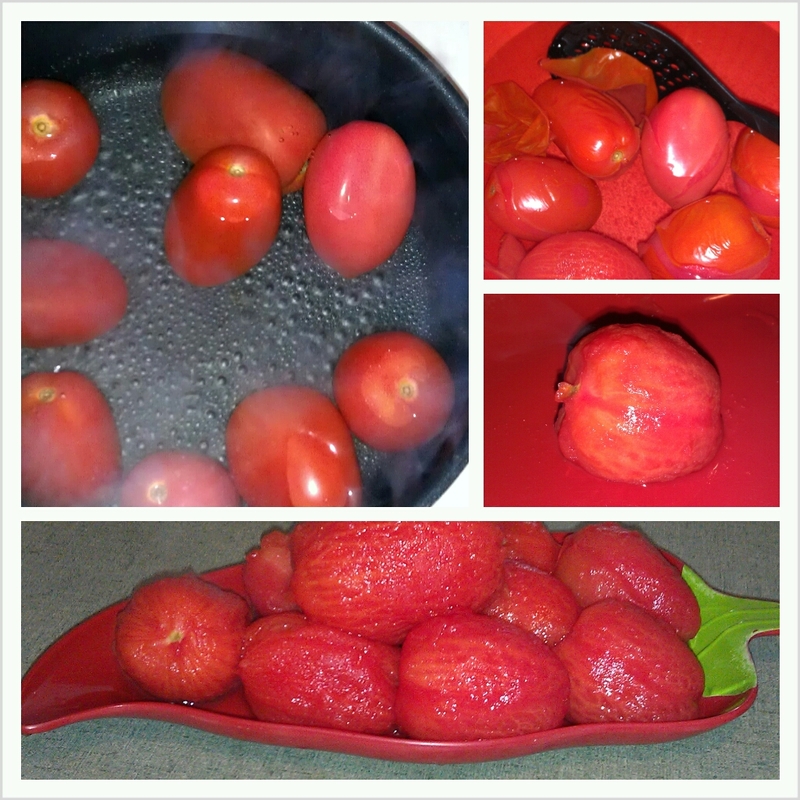 Use a slotted spoon to scoop out the cracked tomatoes and toss them in a big bowl filled with ice water. Peel off the skin that’s still attached and throw it away, put your tomatoes to the side. Put enough oil in a pan to cover the bottom and heat it to just under medium. Get out two bowls, in one put the egg and milk then beat them together. In the other bowl put your breadcrumbs. 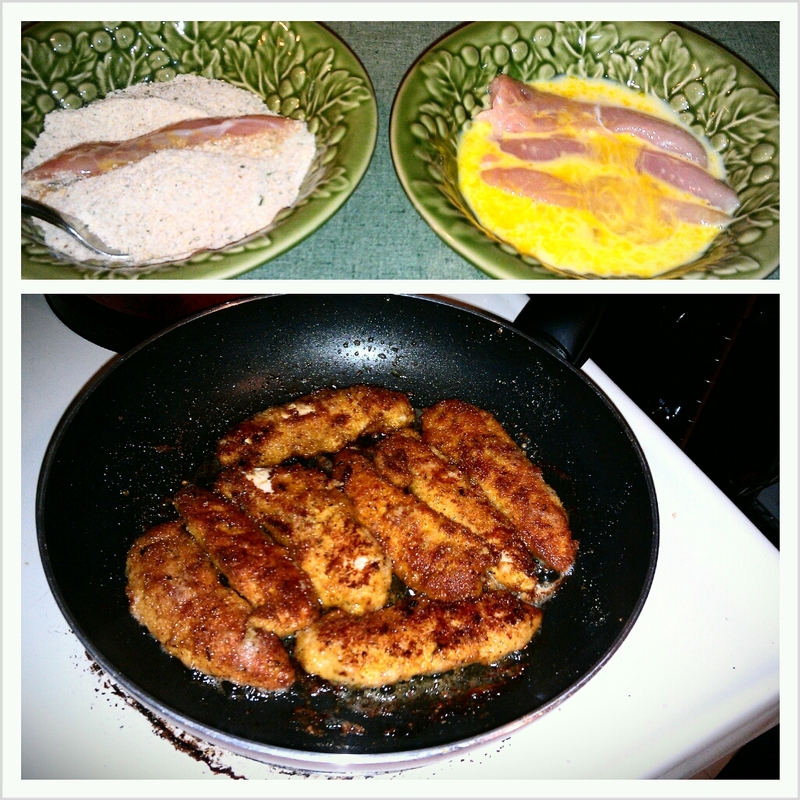 Dip the raw chicken in the egg-milk mixture, then roll it in the breadcrumbs. Once coated, line them all up in the oil and cook until done, flipping at least once. It should take around 20 minutes, careful not to burn them! When the chicken is fully cooked I put it on a plate covered in tinfoil to keep warm. 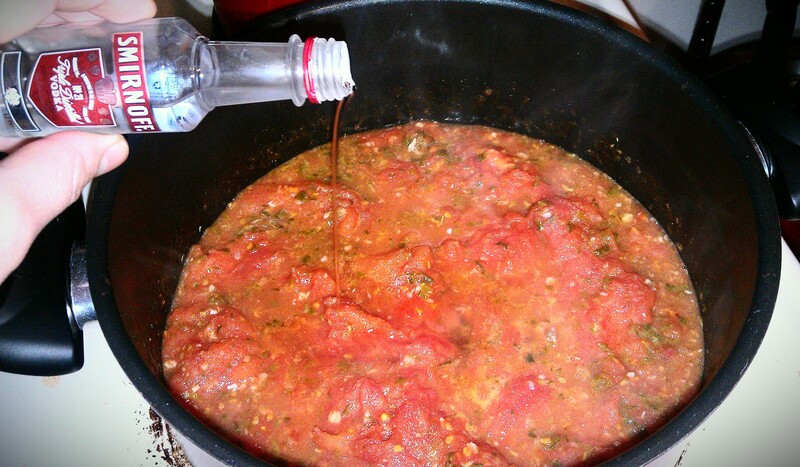 You can start the sauce while the chicken is cooking, after you have blanched your tomatoes. Put a couple of tablespoons of oil in the bottom of a big pot and heat it to just under medium. 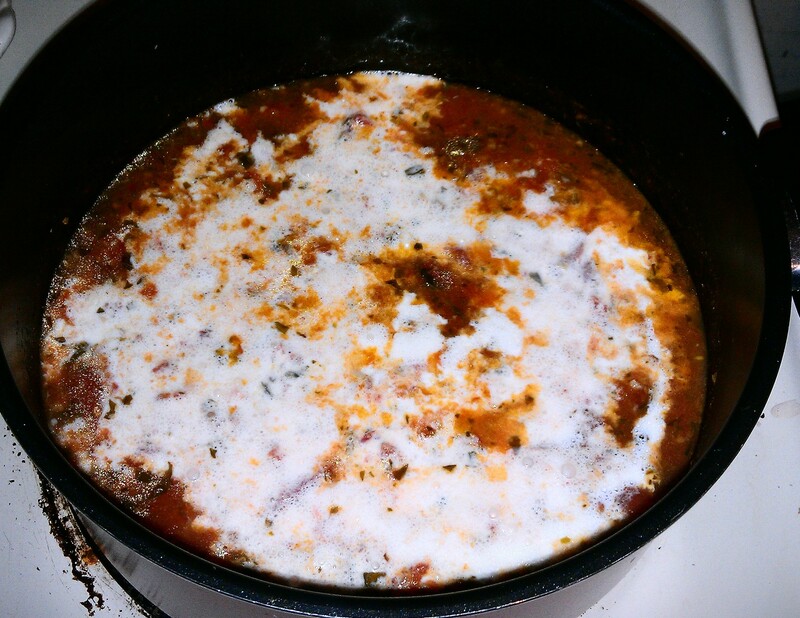 Add your minced garlic and simmer for a few minutes, be mindful not to burn (isn’t burned garlic smell the worst!?). 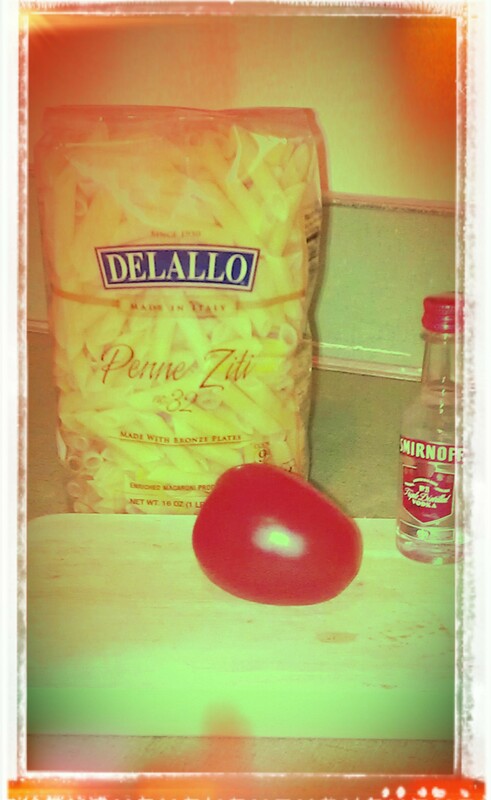 Add the tomatoes, I used a masher to mash them enough to get the juice out. Stir in basil and simmer uncovered for 15 minutes. When your timer goes off stir in the vodka and simmer for another 15 minutes. Now is the time to start the water for the noodles. When your timer goes off shake the whipping cream for about 20 seconds and add it to the sauce. Boil for ten more minutes, stirring to keep it from sticking to the bottom of the pot. Let it cool for at least 5 minutes to thicken up. 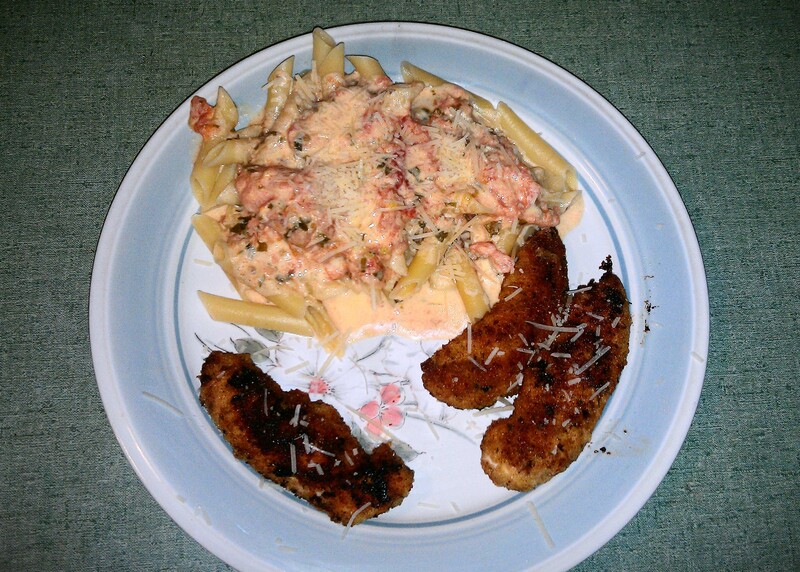 Spoon the sauce on a pile of penne, add a couple of warm chicken cutlets and top with some parmesan cheese. Finito!